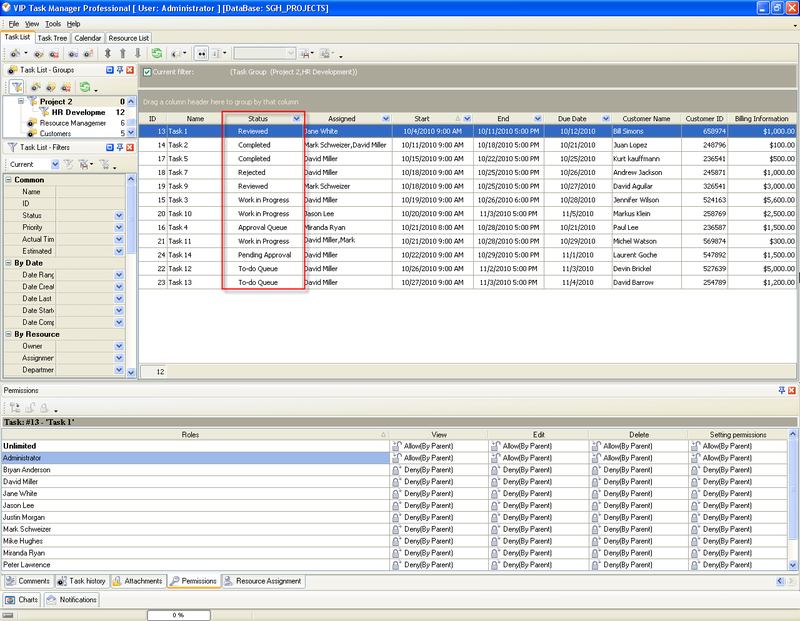 Task status "Approval Queue" shows that Administrator or responsible resource assigned the task to the group of resources and the task is waiting for the assignment confirmation from one of resources. Task Status "Pending Approval" shows that Administrator or responsible resource assigned the task to a specific resource and the task is pending for the assignment confirmation. To track the assignment confirmations of resources you can use custom field "Confirmed"
Task Status "To-do Queue" shows that Administrator or responsible resource assigned the task to the group of resources and the task is pending for someone to work and accomplish the task. Task Status "Work in Progress" notifies that some resource confirmed the assignment and is currently working on the task. Task Status "Review Queue" is displayed for tasks assigned to the group of people and needs further checking or clarification. Task Status "Reviewed" mean that the task was successfully checked and approved by superiors or responsible resources. Task Status "Rejected" shows that the approval failed because the task was done with issues or errors. Task is marked with status "Completed" if the work on it was successfully finished and all stakeholders executed their purposes. 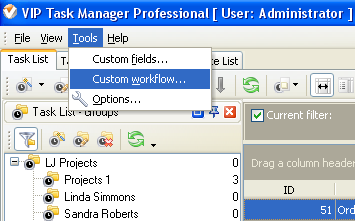 In Name field enter custom field name, for example, "Workflow 21". Click "Ins" button, enter the status name "Approval Queue" in Name field and click "Ok" button. Click "Ins" button, enter the status name "Pending Approval" in Name field and click "Ok" button. Click "Ins" button, enter the status name "To-do Queue" in Name field and click "Ok" button. Click "Ins" button, enter the status name "Work in Progress" in Name field and click "Ok" button. Click "Ins" button, enter the status name "Review Queue" in Name field and click "Ok" button.